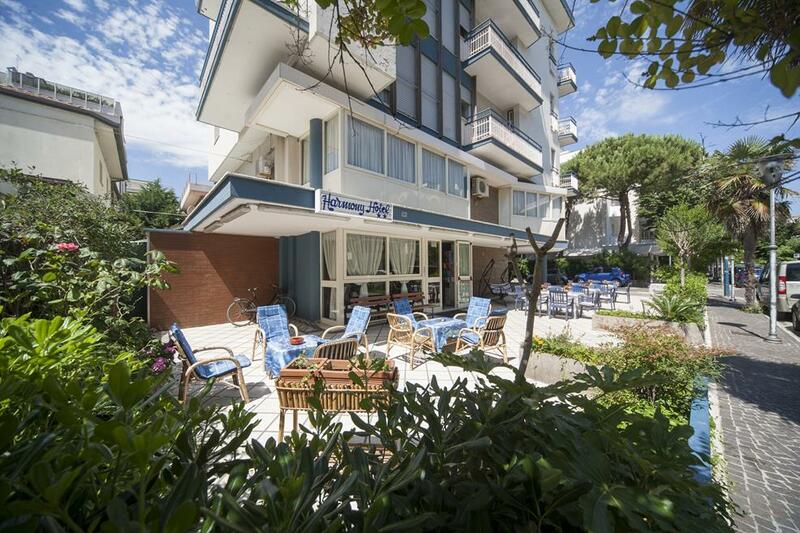 Hotel Harmony is a Bed & Breakfast designed for young people and couples who comes to Riccione to enjoy a low-cost holiday, but with the comfort of a hotel! 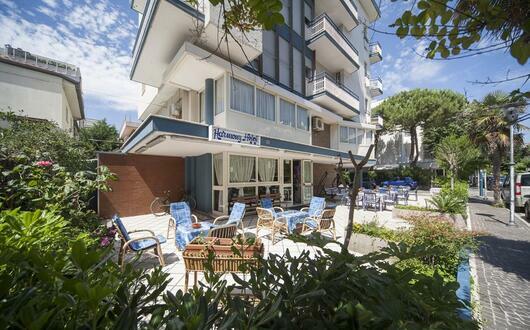 Discover our hotel located in one of the most famous avenues of Riccione. 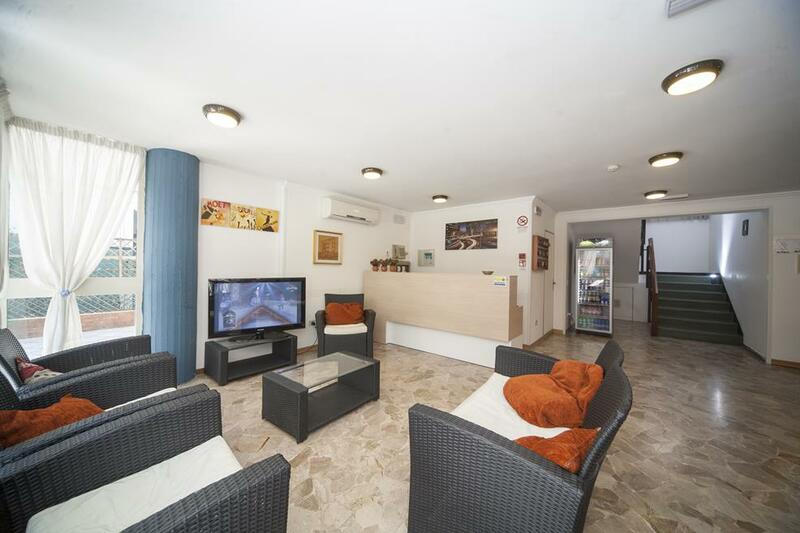 Our common spaces like the beautiful garden, the TV room and the bar open 24h no stop are at your disposal. 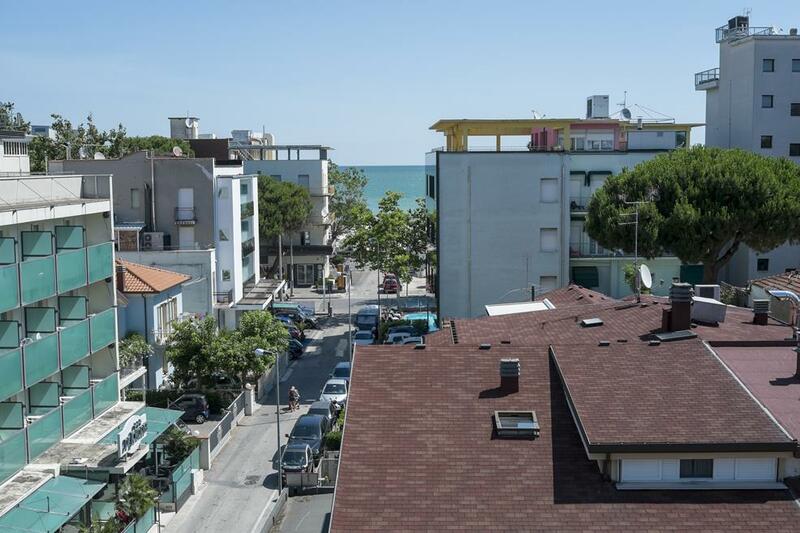 You will live every day with a smile between the bustling beaches of Riccione and the beautiful nightclubs of the Riviera. 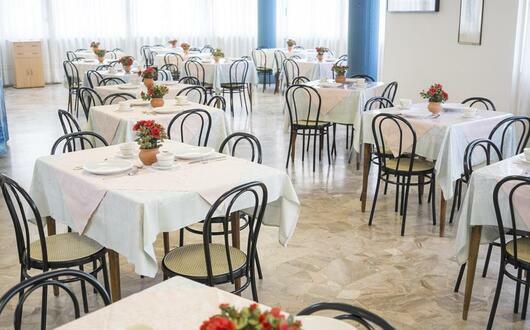 In the morning you do not have to hurry up for breakfast, in fact you will have at your disposal a rich buffet until 1pm! 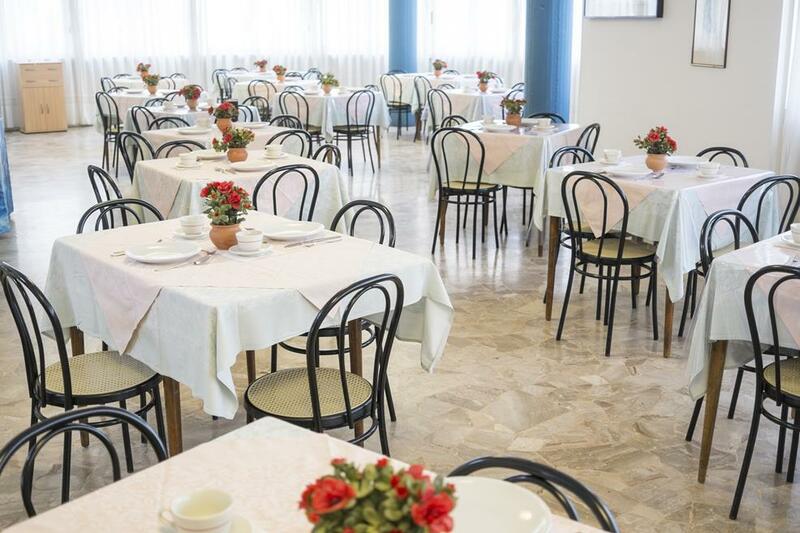 In the morning you will find a rich buffet of croissants, pastries and cakes and lots of savoury products like hot rolled-out pastry and freshly prepared pizza. Late in the morning we will also serve fresh pasta and rice salads! 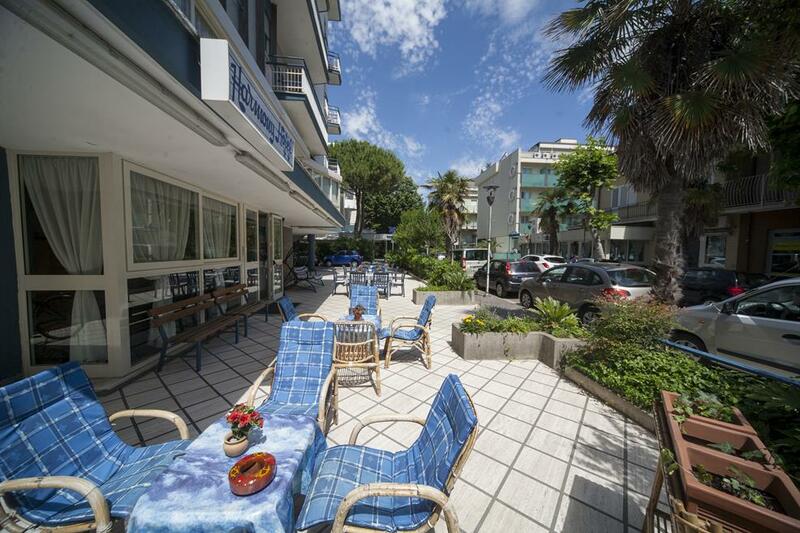 When you come back you will be hungry and, in the hotel, you will find, with a small supplement, a yummy Aperitif-Dinner at 7 p.m. with excellent drinks and dishes prepared directly from our kitchen. 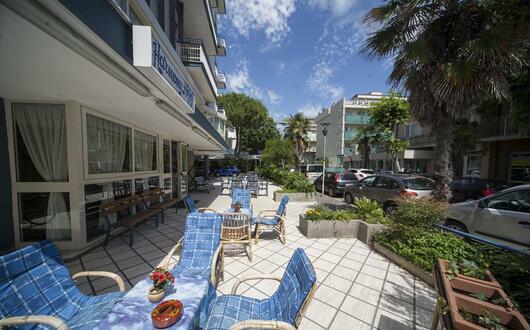 Come to us for your unforgettable holiday!